We know we’ve got the best coach bus travel team in the GTA, but we’ll admit it can be a little quiet on board if you aren’t equipped with electronics, books or work. Interacting with your travel pals en route will have the time passing quicker. 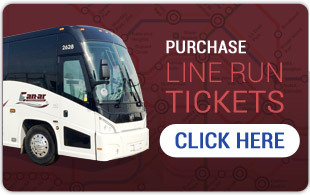 Can-ar Coach has curated a list of the most popular on-board bus travel games the interwebs had to offer, and here’s what we came up with. 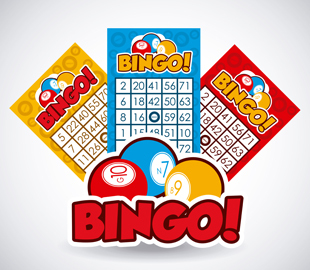 Magnetic bingo features traditional bingo sheets with magnets that allow passengers to play the game in a moving vehicle without worrying about losing pieces or carrying dozens of sheets and messy dabbers. The caller picks numbered and lettered balls from a bag and announces them during play. The first person to complete a bingo pattern wins. Who doesn’t love a good game of charades? After your guests are seated, give each two passengers a movie title or song title that they must act out. Keep your balance! This is a variation on 20 Questions. Guests have a nametag on their backs or foreheads, bearing the name of a celebrity. These nametags can be pre-printed by your organizer according to a theme (i.e. movie stars, politicians, notorious criminals, cartoon characters and so on). Alternatively, the leader can distribute blank nametags and instruct guests to fill in the name of a celebrity and affix it to someone’s back. Guests then have several minutes to ask 20 “yes” or “no” questions of their travel pals in order to figure out their secret identities. This is usually a drinking game, but in the name of safety, leave out the alcohol until you arrive at your destination. Instead, play the game as you usually would (if you have ever, take a drink), but with water, juice, soda or whatever your drink of choice is. First one to have to use the bathroom loses! Pre-trip, print out lists of items that can be found looking outside the window and hand them to your travelers. This can include license plates from neighboring provinces, animals, billboards or even popular crops in the areas you are traveling through. The first person or team to find all the items wins. This is a great game for breaking the ice if some of the travelers don’t know each other well.